Millennials like this young man are very talented, very driven, and extremely ready to get going with their career. They have been online since they were born, and have gathered information from around the world via computer their whole life. They are smart. But sometimes they don’t understand that even though they have advanced knowledge, that doesn’t lead to having an instant career. You still have to put in the years of work like everyone else who has had a great career has done. This applies in every type of work, but it really seems to hit home with music. I would say that half or more of the work that I get as a musician, producer, or whatever is from people who call me and ask me if I still do music. The fact that I do it is how I actually get music work. Many folks I meet who would like to have a career in music haven’t even sung yet! They have never recorded, taken a class, or even made any effort to talk to anyone before me. They just know they like music and think it would be neat to have a career. So there’s the first step to a career in music. Seriously, start doing it right now. Send an email, get working with someone, get started on a music project, or get out there with your music. This young man I was talking about will have done 85 shows this year. He’s still hungry for more, and wants that the rest of his life. In order to have a career you have to start one! So, what if you have already been doing music, maybe for years? Ok, here’s the biggest secret I can reveal in the music business. Are you ready? This is absolutely the one thing that those who have had a long career in music have done that others who fell by the wayside did not. It’s the one thing that I see musicians, artists, songwriters, engineers, etc. do repeatedly that kills a promising music career. I have worked with lots of people over my career that I have been musicians, singers, players, songwriters, engineers, or some other musical thing. The only thing that is different about me and what I do and those who don’t do it anymore is that they stop doing it. Mostly it’s because they found out how hard it is, how extremely difficult it is to make a living in music. Or maybe they just didn’t think it was the right life for them. So there you go, my main two pieces of advice for how to have a long music career. Start a music career. Don’t quit your music career. If you’re laughing and think it’s not that easy then go ahead and quit. I’ll see you in 20 years. And yes I’ll still be doing music. Eric Copeland is a music producer, songwriter, leader of creatives, and has been for almost 40 years because he just won’t quit. 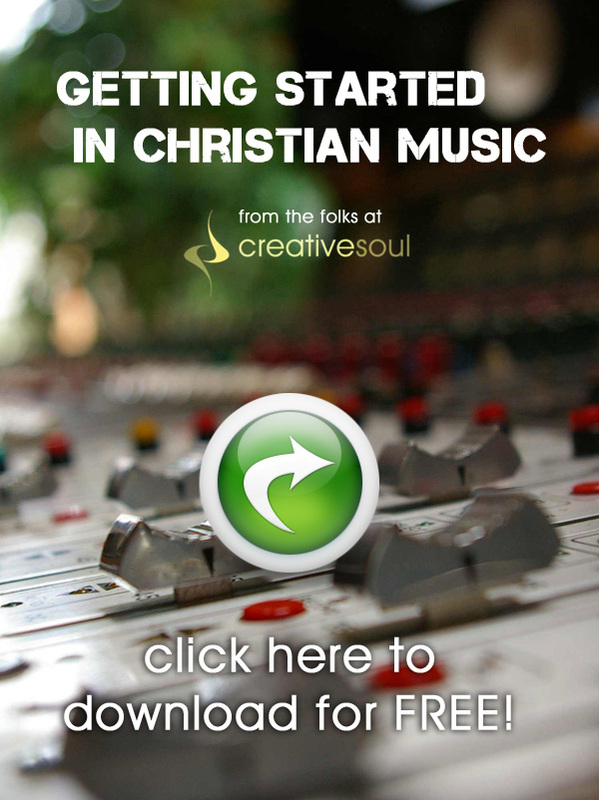 If you’re ready to start, restart, or continue your Christian music career, check out Creative Soul. Our goal is to prepare and guide Christian artists and songwriters. Find out how to get started here! Good post, EC. I think we musicians tend to overcomplicate things, but this is simple and concrete advice: start and don’t stop. Kudos to that guy for booking 85 shows this year! That’s amazing! Thanks Eric. I love simple answers. Maybe not easy, but simple. God bless you.